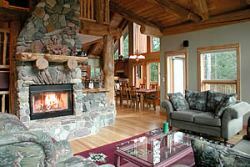 This exquisite 5-bedroom lodge resort home features an open concept with massive log beams, river rock fireplace and wood flooring throughout. The magnificent mountain setting is emphasized with floor to ceiling windows, in a haven you won't want to leave. Only a short walk to the ski lifts at Fernie Alpine Ski Resort. 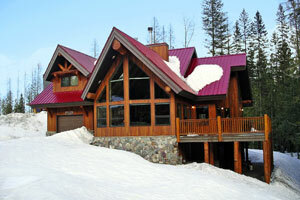 Contact us for more information or to make this luxurious Fernie Resort Home part of your Fernie ski holiday.